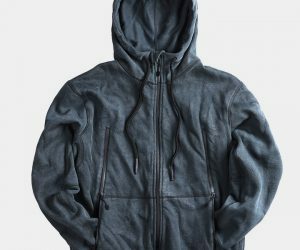 Made in the Big Apple, with some big credentials to match, the Mission Workshop Magnus is a kangaroo hoodie for all environments. Forged from high-spec fabric called Cordura 4Ever fleece, it’s weather, tear and snag resistant on the outside and fluffy on the inside. Careful, this one is likely to be stolen by the lady in your life for cozying up on the couch. Secure yourself a super stylish slice of fashion for a snip with the TAYLRD Henley, a long-sleeved classic wardrobe staple crafted from 100% cotton. The loose knit, textured, breathable shirts are pre-shrunk for perfect fit and available in four subtle colors, but at less than 40 bucks a piece why not get them all? Unless you happen to work for Nasa, the police force or the military, you won’t get your hands on a top tougher than the Vollebak 100 Year Hoodie Granite Edition, cotton-soft yet constructed from the same materials in spacesuits, body armor and even aircraft carriers. Seriously. It takes a month to make each one and is designed to last a lifetime. 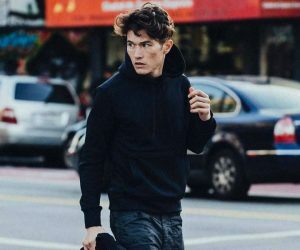 Amazingly soft and essential for spring’s fluctuating temperatures, the Pact Featherweight Pullover is a must-have. 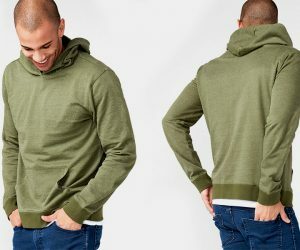 Made with 100% organic cotton, this versatile pullover has a relaxed fit, useful hood, one front pocket, and is anchored by ribbed cuffs and band. Unbelievably soft and naturally breathable, it layers effortlessly over your favorite tees for a cozy casual finish. 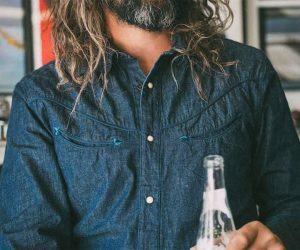 A little bit country and a little bit rock-n-roll, the Freenote Rambler denim shirt is all about style. 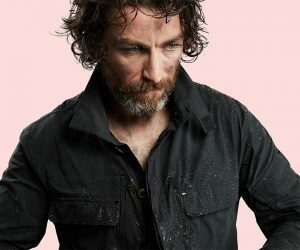 Made from Selvedge denim from Yoshiwa Mills, Japan, and sewn in the USA, this 100% cotton shirt has Western cuffs, embroidered triangle pocket details, cotton navy piping from Japan, and custom bone snaps. Filled with personality, this is no run of the mill denim shirt–it’s exceptional.